South Park characters. 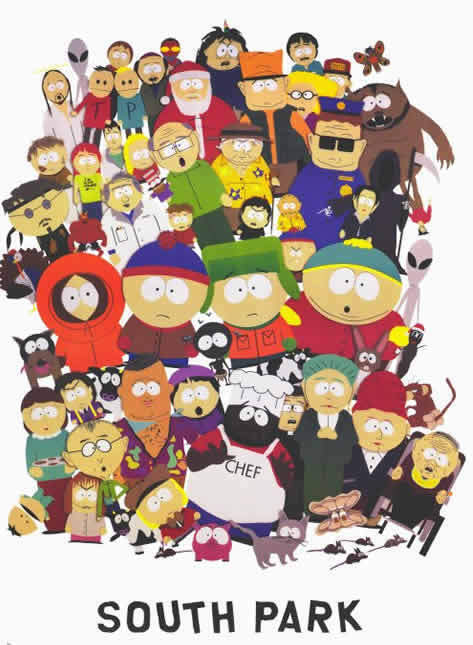 This is a mix picture of all the characters from the series.. Wallpaper and background images in the साउत पार्क club tagged: south park stan chef kenny kyle cartman. This is a mix picture of all the characters from the series.